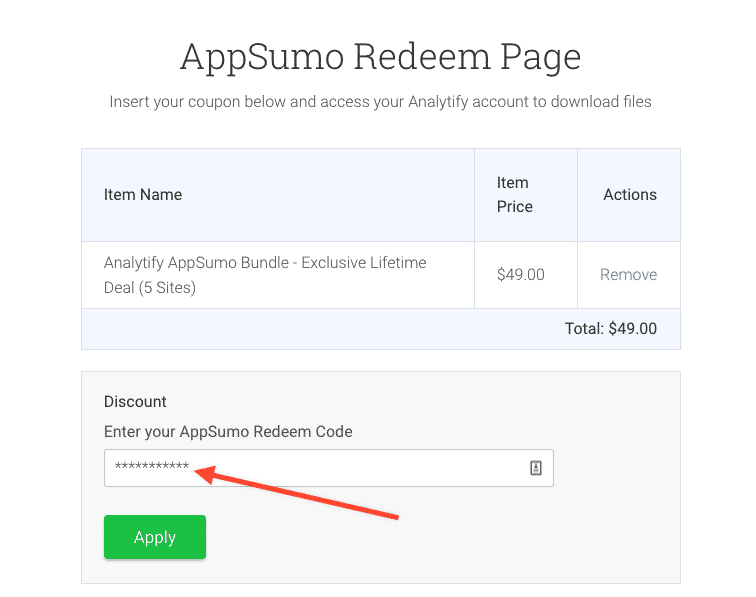 Follow the instructions below to Redeem AppSumo – Analytify purchase. Go to the redemption link. Enter your AppSumo code in the Discount field and hit Apply. Discount Code will be applied. Fill out your details within (First Name, Last Name, and email) fields. Click Purchase, you will be taken to Purchase Confirmation page that contains license keys and files to download. You should receive an email with your license keys, files and username/password to access your account on Analytify. 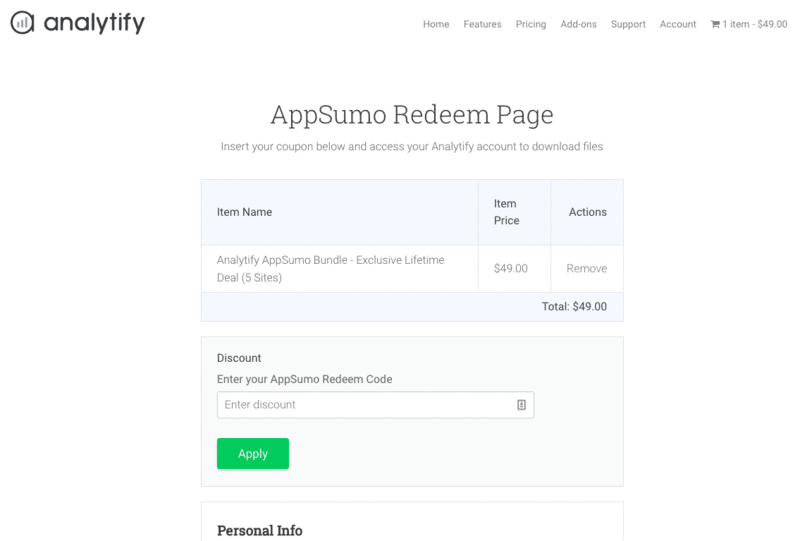 Enjoy, you'll now have lifetime access to Analytify – AppSumo Bundle. In case of any issues, please send an email to support@analytify.io or submit a form via Analytify plugin settings -> help tab.